IP Phone Accessories - Electronic Communication Services, Inc. 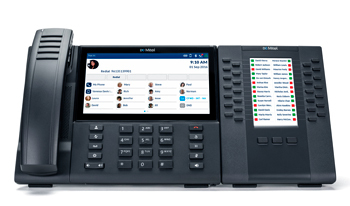 The cordless voice optimized handset allows users to enjoy clearly discernible conversations in a variety of environments without being physically tied to their desk phone. 6930 users can enjoy the freedom of cordless conversations for both IP and MobileLink calls by upgrading to the cordless handset. The WLAN Adapter delivers wireless 802.11 a/b/g/n dual band (2.4Ghz / 5Ghz) network connectivity to your 6900, 5300 or 6800 series phone. Wirelessly enable your IP Phone by simply connecting the WLAN Adapter to the Phone’s network port via the supplied Ethernet cable and then configure the adapter to connect to your home office or enterprise wireless network. The WLAN Adapter supplies POE power to the connected phone for a clean and simple single wall adapter solution. The WLAN Adapter supports the connection of a PC to the PC port of the connected phone with true 2×2 MIMO (300Mb/s) throughput. The WLAN Adapter delivers enterprise-grade dual antenna connectivity and up to 802.1x security plus comes with a remote management application that allows administrators to remotely manage adapters deployed within their user community. 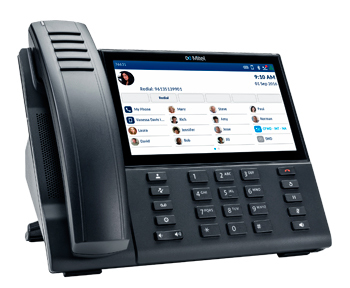 The Mitel M695 can easily add 28 buttons to the existing Personal keys on a 6920, 6930 or 6940, enabling the MiVoice 6900 Series IP phones to become robust productivity enhancing desktop communication tools for users who need to monitor a large number of lines or Busy Lamp Fields. The M695 attaches easily to the 6900’s sidecar expansion port which provides power to the attached PKM for a clutter-free desktop. Up to three modules can be daisy-chained together to provide up to 84 programmable keys that can be programmed with all of the same feature types available on the Personal keys of the base phone.